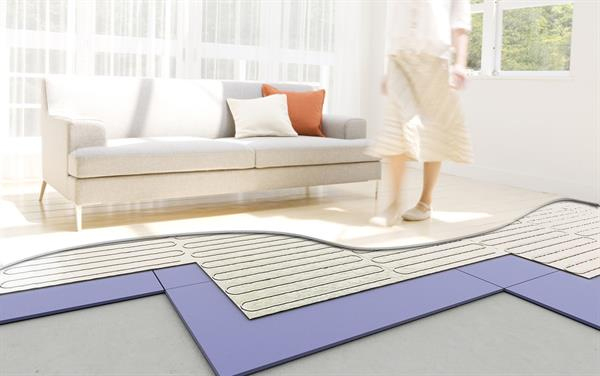 In this article, Ambient Electric discusses the benefits of electric underfloor heating. A significant benefit of choosing electric underfloor heating is that it is surprisingly easy to install. Preparation for installation can be carried out by any competent DIY enthusiast and would only require professional help from an electrician during the final installation, testing and connection of the underfloor wiring. If you choose underfloor heating thermostats, you will be able to control the heating mats swiftly and efficiently with a quick warm-up time and optimised running costs. Your floor heating thermostat works in an almost identical way to your central heating clock timer - simply program it to run at the times you want it to be warm! As the heat is spread uniformly across the entire floor you can then use a moderate temperature rather than a high setting to provide consistent heat throughout the room. 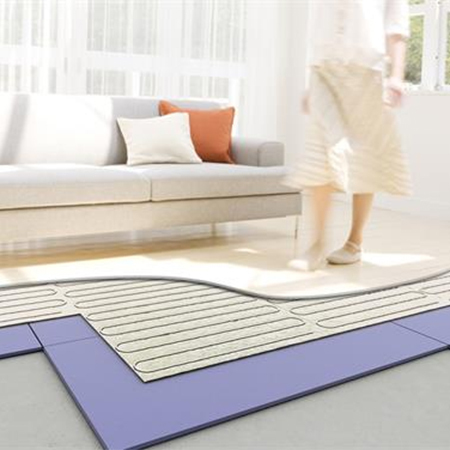 Overall Electric underfloor heating is more efficient than other forms of electric heating and most other convection systems as 100% of the electrical energy is turned into heat. To give an indication of running costs you could expect to pay as little as of 1p per square metre, per hour of heating. Therefore, a 10m² squared area bathroom could cost 10p per hour of heating using underfloor mats. Assuming the heating is on for 2 hours in the morning and 3 hours in the evening, it would cost approximately 50p per day, or roughly £15 per month. (based on 2017 average UK electricity prices). Ambient Electrical is a specialist Electric Underfloor Heating company, offering a comprehensive range of tried and tested floor heating products. They offer expert design advice and to give their customers the confidence to buy exactly what they need.